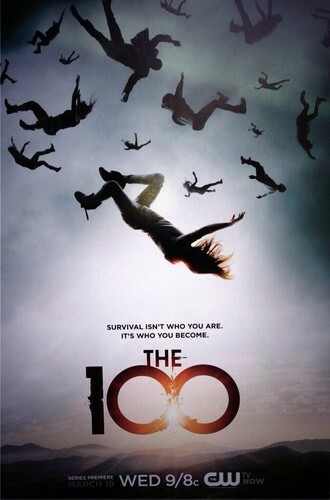 The 100 promo posters. "Set 97 years after a nuclear war has destroyed civilization, when a spaceship housing humanity’s lone survivors sends 100 juvenile delinquents back to Earth in hopes of possibly re-populating the planet.". HD Wallpaper and background images in the 100 (Сотня) сериал club tagged: photo poster the 100. "Set 97 years after a nuclear war has destroyed civilization, when a spaceship housing humanity’s lone survivors sends 100 juvenile delinquents back to Earth in hopes of possibly re-populating the planet."